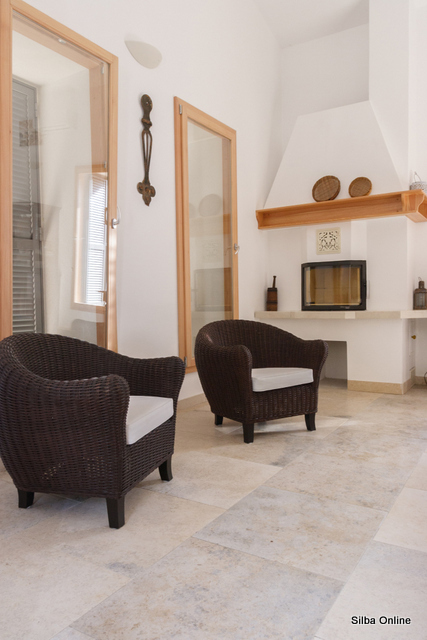 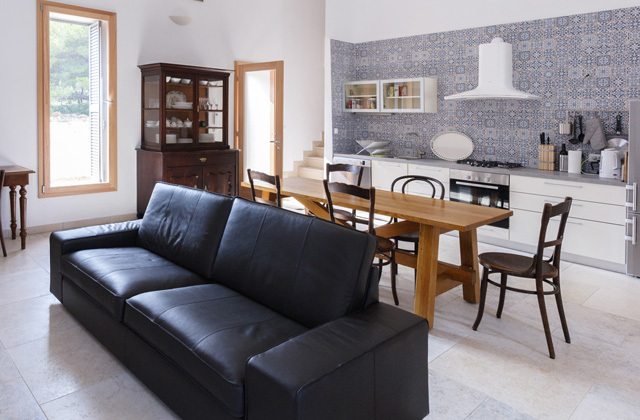 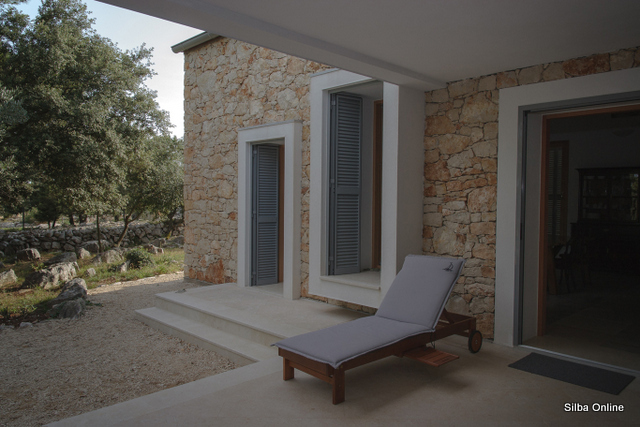 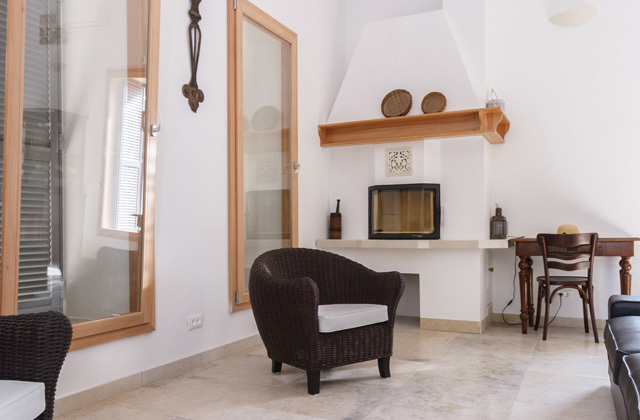 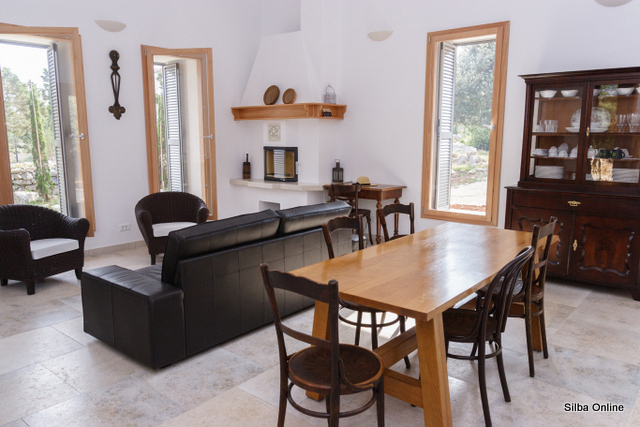 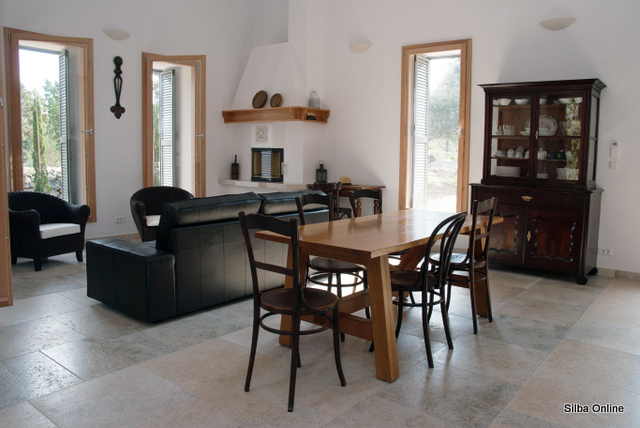 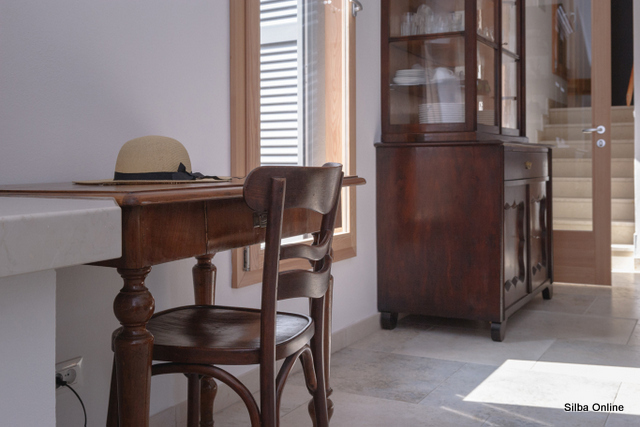 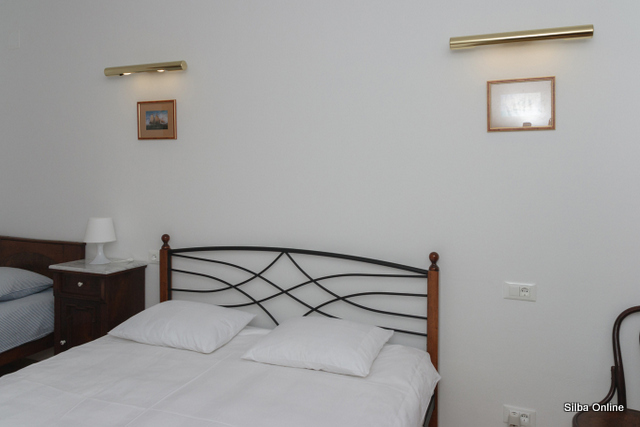 Villa Mocira is a luxury modern accommodation with touch of old Silba houses. 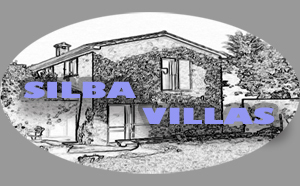 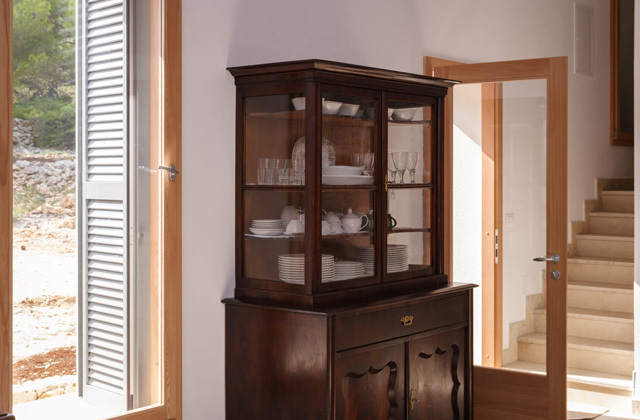 Overall dimensions, materials, furniture…reminds on times when Silba was home of famous captains. 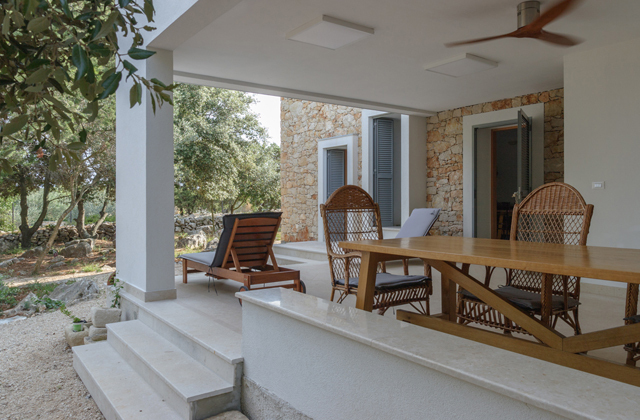 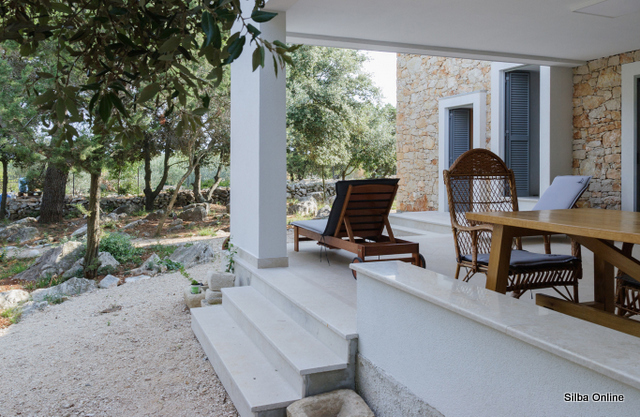 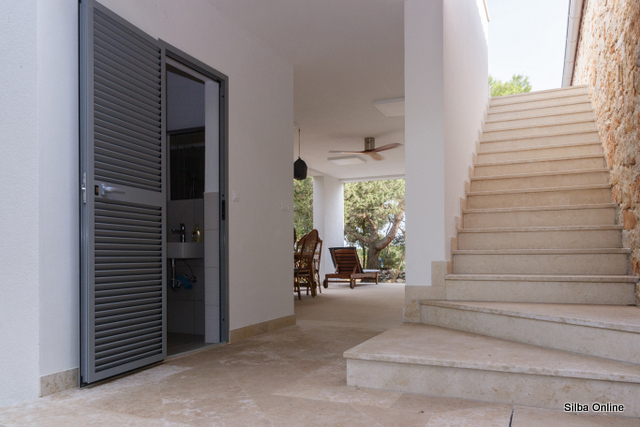 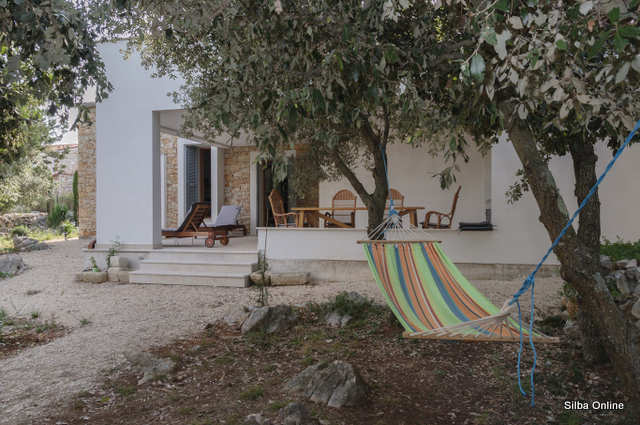 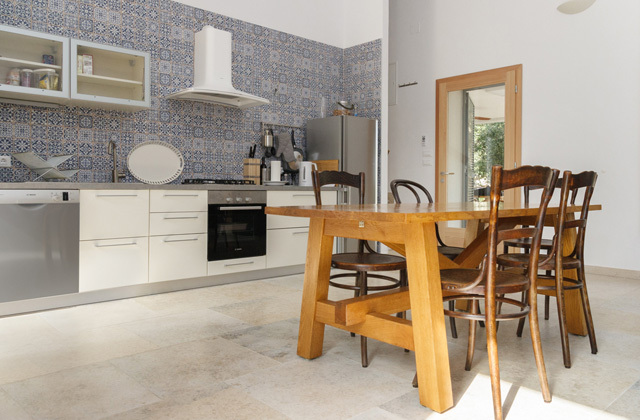 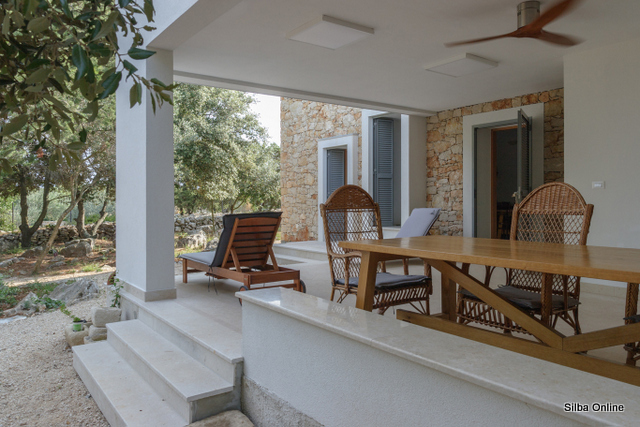 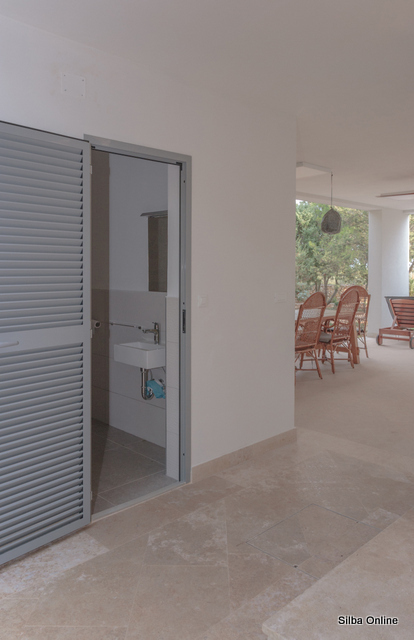 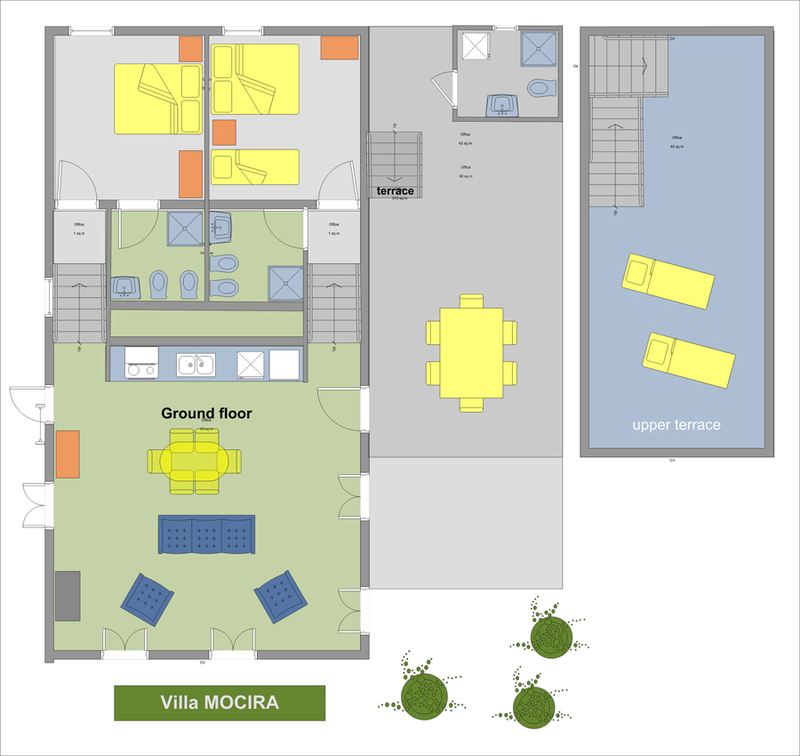 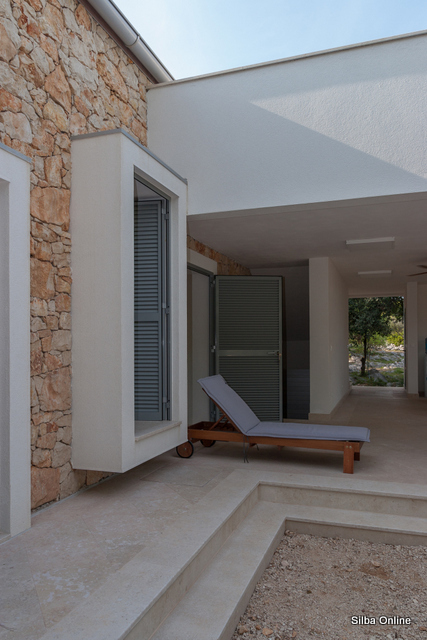 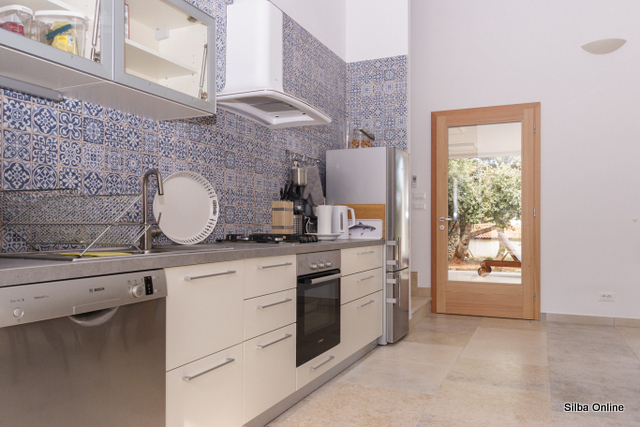 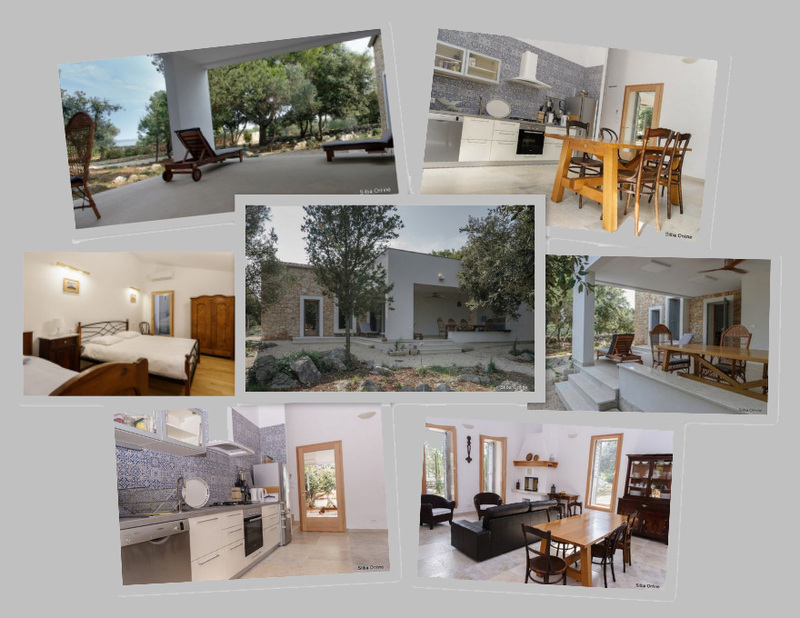 Villa consists of ground floor with living and dining room, kitchen and spacious terrace. 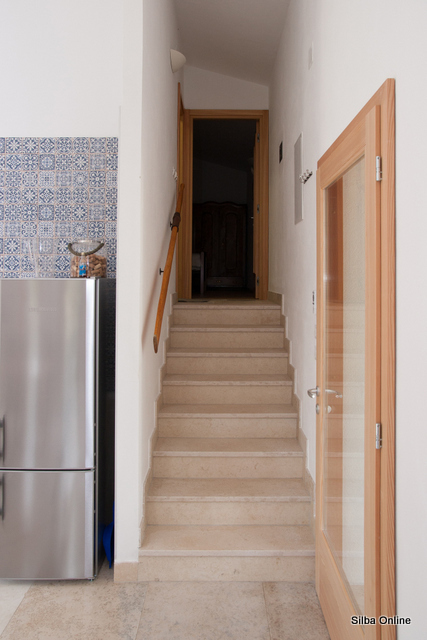 Just a few steps above the living room there are two comfortable bedrooms. 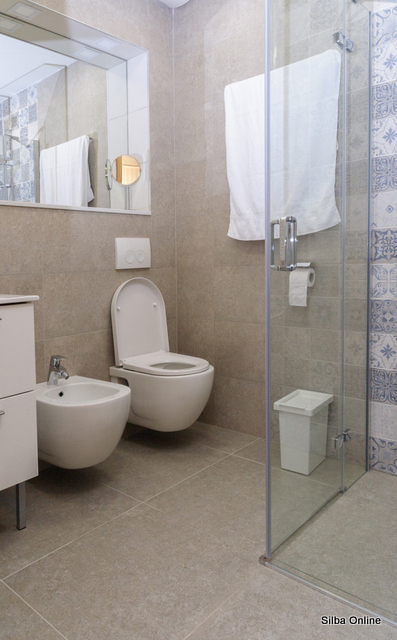 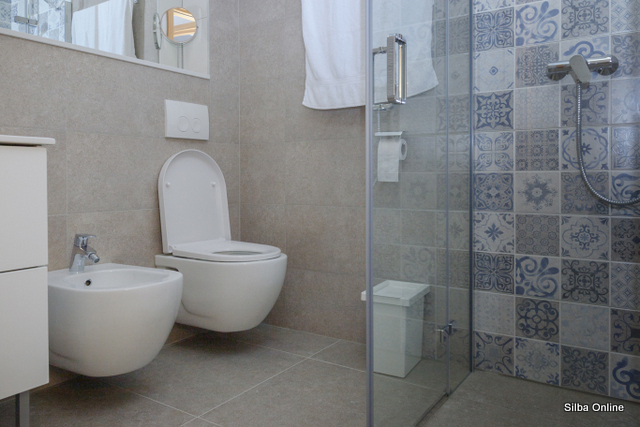 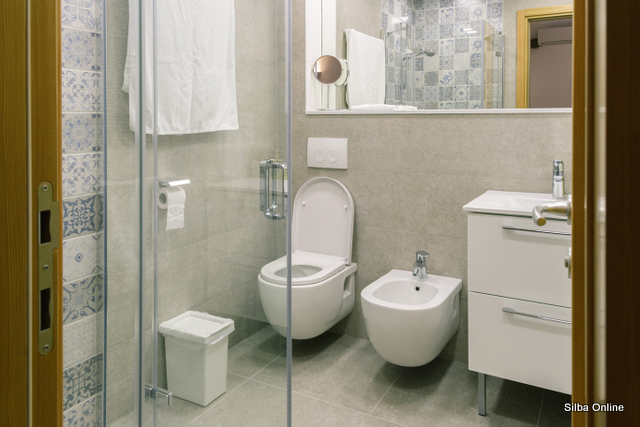 Each room has its own bathroom. 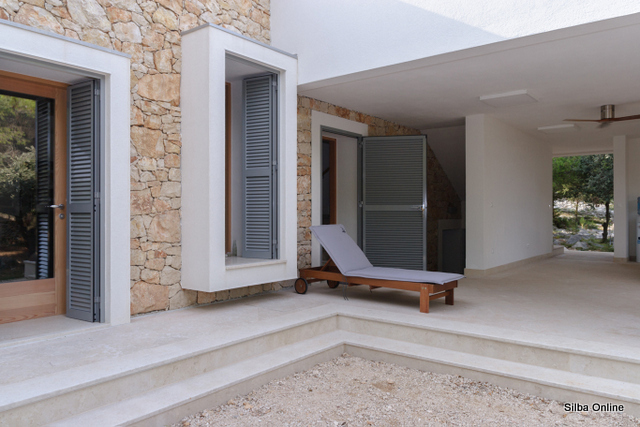 The large shady terrace is located on the ground floor and on the first floor there is an open terrace with breathtaking sea view. 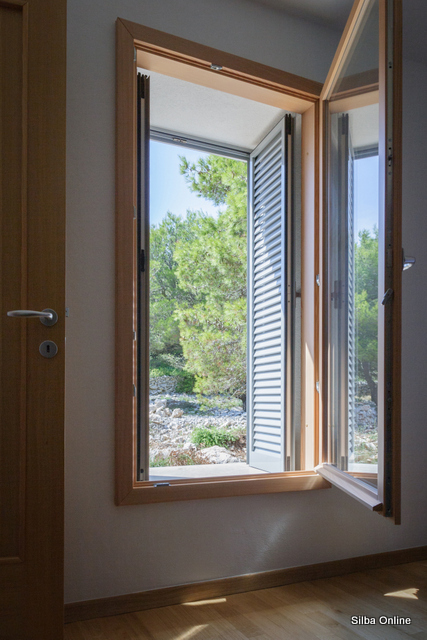 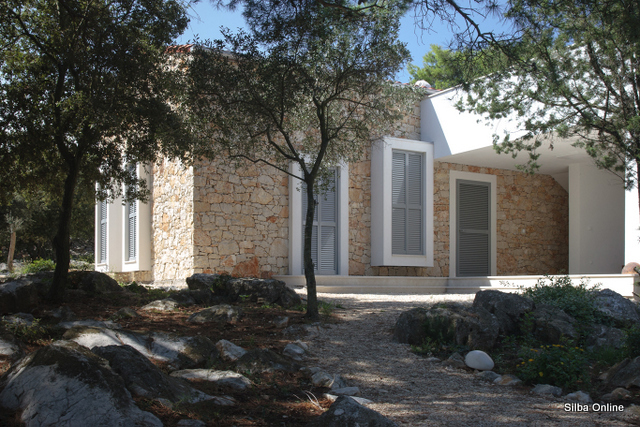 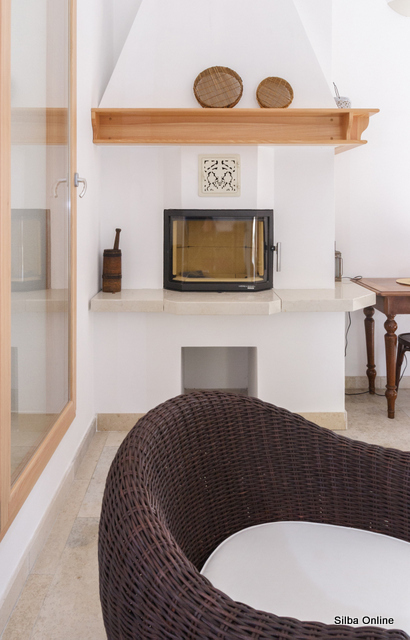 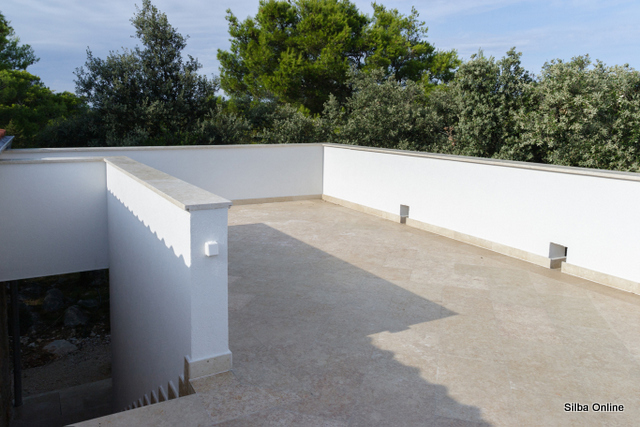 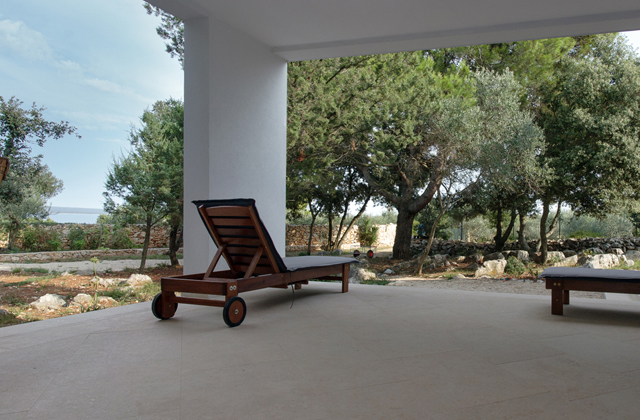 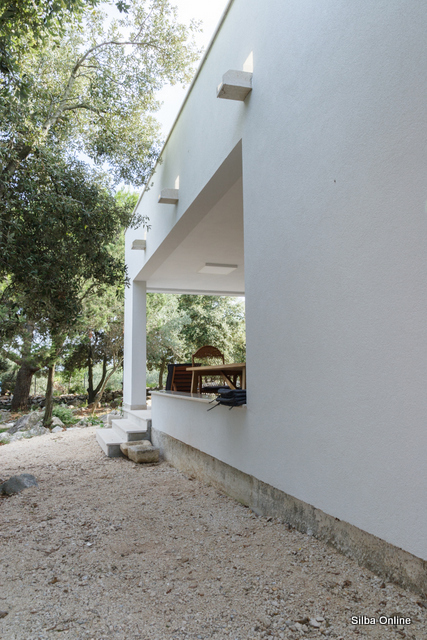 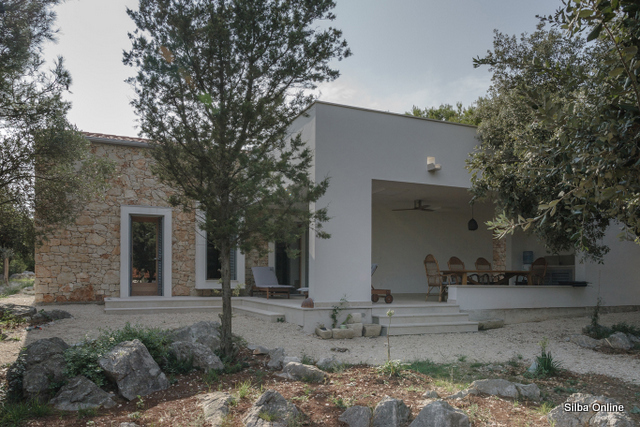 Villa is located on 2000m2 property and totally surrounded with Mediterranean pine trees. 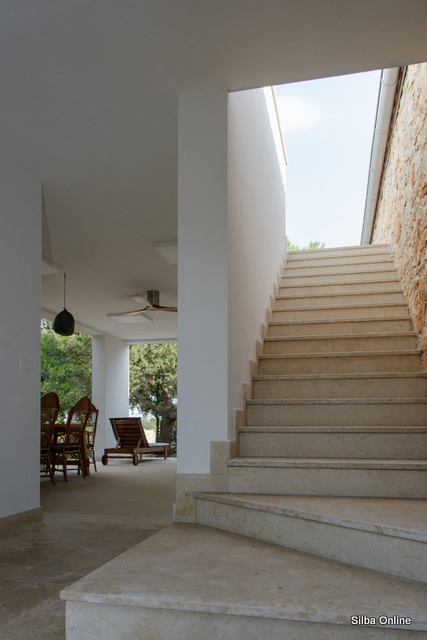 It is located on the east part of the village, separated from the crowd and has view on neighbouring island Olib. 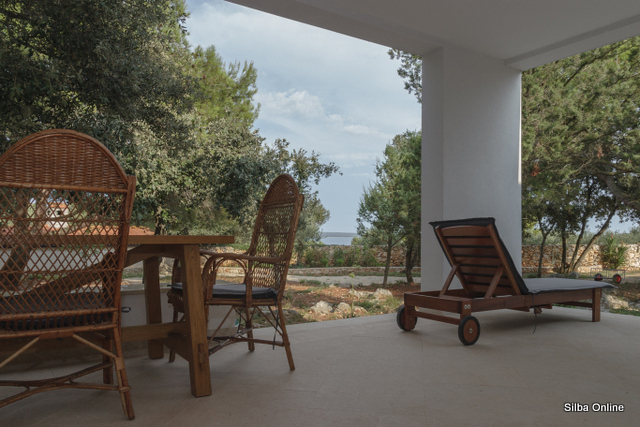 Perfect place for a quiet holiday on this vehicles-free island! 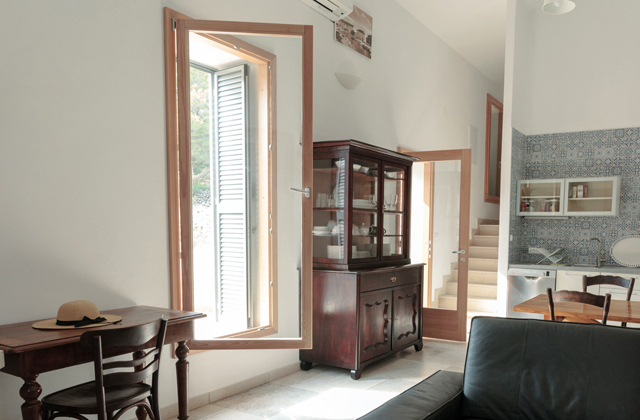 Departure in top season is always on at Saturday. 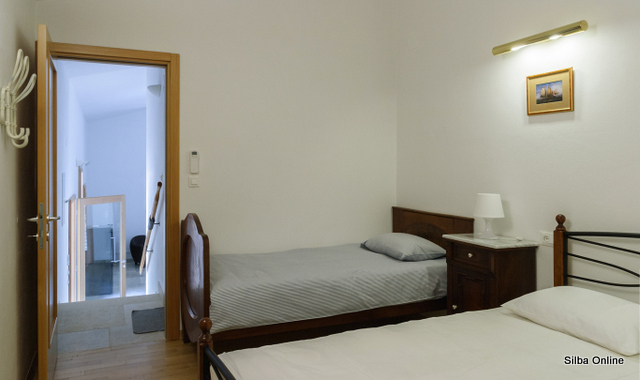 Minimum stay is 7 days.